In this weeks New Statesman magazine there is an article called: Faith no more. Andrew Zak Williams asked an array of public figures why they don’t believe in God. This follows an article written in April where Williams asked 30 other public figures why they believed in God. I was pretty disappointed with the arguments put forward by those who said they were believers, as their arguments were weak and unconvincing. Cherrie Blaire, for example, cites her reason for believing in a divine entity because: “It’s been a journey from my upbringing to an understanding of something that my head cannot explain but my heart knows to be true.” The majority of the believers in April’s article were also Christian and therefore it lacked a pluralistic approach to different belief systems. Faith no more saw the likes of Richard Dawkins, Sam Harris, Sir Roger Penrose, Polly Toynbee, Stephen Hawking and others add their voice to the ongoing human debate about the existence of God. Having read both articles, the arguments put forward by the atheists and agnostics in this week’s debate seemed more convincing than those propounded by the believers in April. Sam Harris, a Neuroscientist and author, says that the burden of proof doesn’t lie on the shoulders of atheists but on believers. This, of course, is true. If one believes in something, no matter what is is – there must be a reason for believing in it: and if you want others to believe in it, you must provide substantiated reasons for believing in it. Saying ‘I know in my heart it is true’ is wholly insufficient, not only because it is purely subjective and intangible but because that proves nothing! Saying that, however, Richard Dawkins says something interesting, but also highly ignorant for someone of his stature: “I don’t believe in leprechauns, pixies, werewolves, jujus, Thoe, Poseidon, Yahweh, Allah or the Trinity.” Conflating imaginary things like leprechauns with the God of the Abrahamic faith clearly shows Dawkins ignorance of religion. For one to believe in God, one has to understand the definition of God. ‘Leprechauns’, according to those who believe in God, do not provide us with the ultimate answer or a reason for why we exist. Dawkins clearly has a profoundly immature and inchoate understanding of other religious traditions. For Christians, Jews and Muslims, God provides the ultimate answer. He is the Beginning, the Creator, but also the one who has placed within us the ability to question, to understand and to reject the existence of God. Interestingly, in Arabic, the word ‘kufr’ can mean disbelief, ingratitude or an arrogant rejection of the truth but has other nuanced meanings. The idea entails that ‘kufr’ is a response within a human being which involves concealing or covering up the truth. God, who according to believers is the ‘Truth’, has put within us the recognition device of remembering who our Lord is. Another profoundly interesting word in the Arabic language is ‘Insaan’ – which means a human being. But the root word comes from the one who ‘forgets’. This is similar to the Platonic idea of remembering what we previously knew in the World of the Forms. When people like Cherrie Blaire then says that she feels God in her heart – although it is an highly impotent argument – it is her way of saying she has ‘remembered’. Stephen Hawking says: “I am not claiming there is no God.” He further says: “Free will and God” can exist. This more agnostic approach towards understanding the realm of knowledge which is outside our dimension is much more rational. Because science is still incapable of denying the existence of God, an agnostic approach by scientists should be undertaken for the mean time until science does completely remove God from the equation – if that ever happens; which I doubt it ever will. Buddhists remain silent on the question of God’s existence because they recognize the inability of humans to prove otherwise. The more proselytizing religions like Islam has the belief that the existence of God can be proved through innumerable evidence. The main two being: the inimitable and perfect Quran and the prophetic life of Muhammad. Michael Shermer, publisher of Skeptic magazine says: “In the last 10,000 years there have been roughly 10,000 religions and 1,000 different gods; what are the chances that one group of people discovered the One True God while everyone else believed in 9,999 false gods?” How could a believer reply to this? What makes their God the ‘real one’? Again, let’s revert back to the Arabic language for an answer. There is an Arabic word called ‘fitrah’. This word encapsulates the idea of the natural inclination of a human being to believe in the Divine. Therefore, it could be argued, throughout time immemorial – in our quest to understand our purpose and understand this innate feeling within us – we have constructed many Gods. This, however, is not a reason against a belief in God but one for a belief in God. This natural feeling which is often manifested by people creating idols, or worshipping Jesus or Allah, is a sign within us pointing to the source. What that source is, science has yet to discover. But until then, it is best for the likes of Dawkins to leave the existence of God open. therefore it’s good to read this website, and I used to visit this web site every day. additives or poisons that can harm your whole body. a excessive fat blocker, which is important to weight reduction. minimize sugars or desserts thinking about eating. get yourself a snack. Actually, the authentic Garcinia Cambogiawill stabilize the levels of a individual tension human hormones. list of origin factors for putting on the weight. I think it was just a light hearted way of saying it’s all made up. @Ash, I think if we can’t explain the reasons behind something, we shouldn’t make wild speculations and pass them off as “the truth”. The existence of God is a theory that might explain our existence, but it doesn’t explain his own. I’ve told you before Steve 🙂 There’s something called infinite regression. If something created God, then something must have created that, and so on. It’s meaningless. God, by definition is the Creator and is therefore the uncaused cause. Who then created the uncaused cause? Well, that doesn’t make sense. @Brian.. how do u explain our mere existence on this planet? I don’t. But I also don’t make up supernatural beings or nebulous “uncaused causes” and claim they did it, and pretend I’m getting somewhere. The difference is: I have a logical reason for my existence you don’t. Sorry, some people really used to believe that leprechauns existed (and you can still find a few people who believe this today). Just because YOU decide to call leprechauns “imaginary” does not mean that everyone does, or did, have the same opinion of leprechauns. So what? 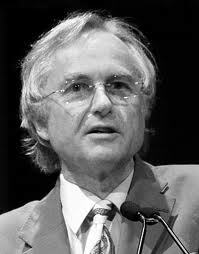 I don’t care if your beliefs give you some sort of “ultimate answer” — that doesn’t make Dawkins’ comparison invalid. I think you just don’t like Dawkins comparing belief in god to belief in other things which you find “obviously” imaginary. To Dawkins (and me, and other atheists) gods are just as imaginary as leprechauns, and you’ll just have to deal with it. okay Brian, calm down. Your entitled to your opinion, and so am I.